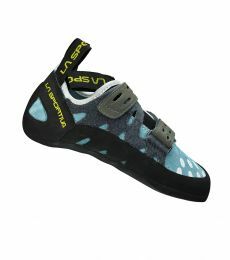 The La Sportiva Tarantula Women's is an entry-level climbing shoe that's slightly more aggressive than regular beginner shoes and is designed for women's feet. Aside from the usual rigid sole and flat profile, the La Sportiva Tarantula Women's features a last with a low asymmetry for better performance generally and also technical precision. New climbers may find this a little unusual at first, but once their feet adjust this shoe will let them progress much faster than a non-asymmetric beginner shoe. As for comfort and wear, the La Sportiva Tarantula Women's has a fit that's better suited to the form of the female foot. 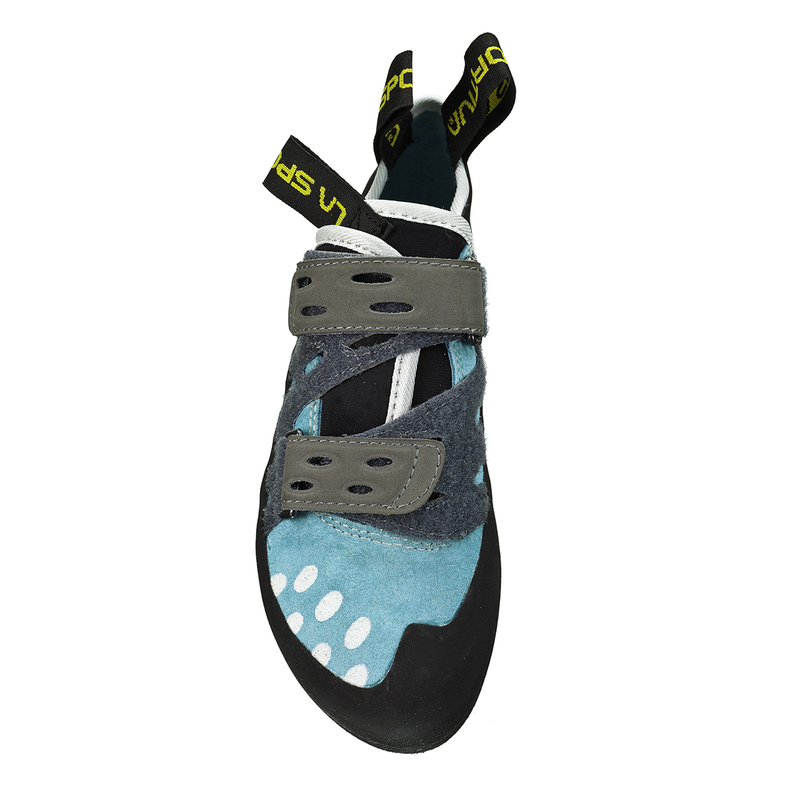 It features an unlined upper that, once broken in, will provide maximum comfort and a custom fit, as well as a highly adjustable opposing-strap closure system that makes the shoes easy and quick to take on and off between climbs. The sole is La Sportiva's own Frixion RS rubber that's designed to be extra durable so as to not wear out before your climbing level has improved enough to necessitate buying a new shoe. 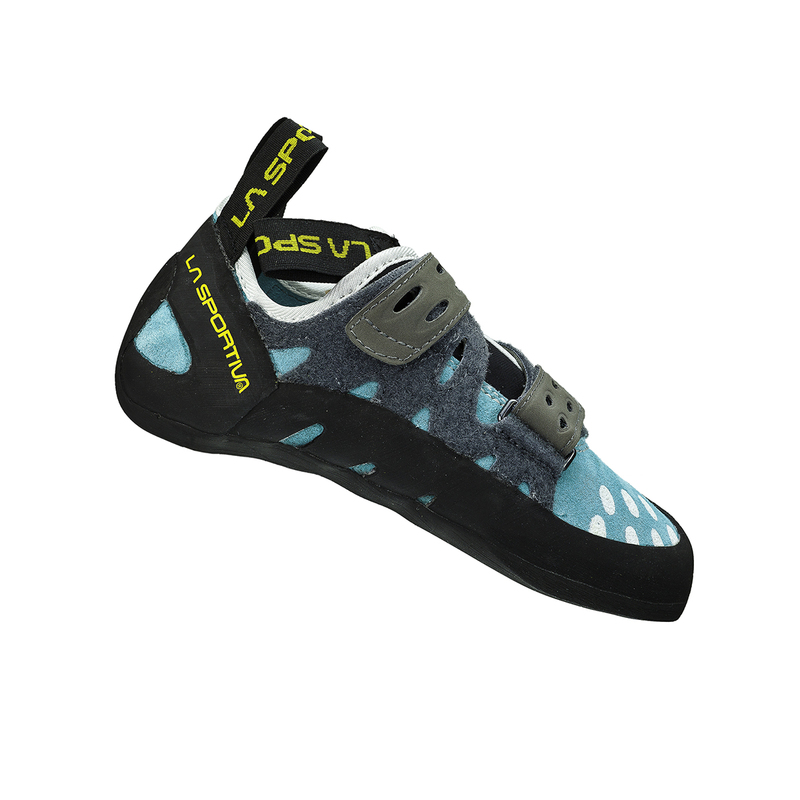 Its stiff sole provides maximum foot support for feet unused to climbing shoes, and it will excel on vertical climbing. La Sportiva recommend sizing this shoe loose for the highest level of comfort, but bear in mind that the unlined suede leather can stretch up to a full size. A great beginner's shoe with mild performance!